"This coenzyme decreases the side effects of LDL-lowering statins and may reduce your risk of diabetes and hypertension. It seems to work by helping restore vigor to your mitochondria - the energy centers of each cell in your body," Michael Roizen, M.D., And Mehmet Oz, M.D. CoQ10 supports heart health, cardiovascular health, and is found naturally in many parts of the body. As we age the body produces less coenzyme Q10, an antioxidant that helps supports the cardiovascular system, heart, mitochondria, and aging. Taking cholesterol lowering medications- statins, also depletes the body from CoQ10, so replenishing those losses is crucial to heart health. 1. 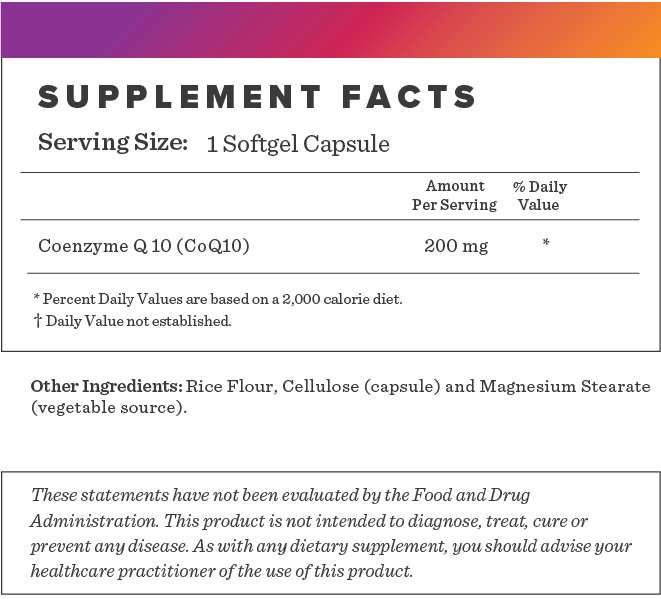 Saini R. Coenzyme Q10: The essential nutrient. J Pharm Bioallied Sci. 2011;3(3):466-7. 2. Dinicolantonio JJ, Bhutani J, Mccarty MF, O''keefe JH. Coenzyme Q10 for the treatment of heart failure: a review of the literature. Open Heart. 2015;2(1):e000326. 3. Hoppe U, Bergemann J, Diembeck W, et al. 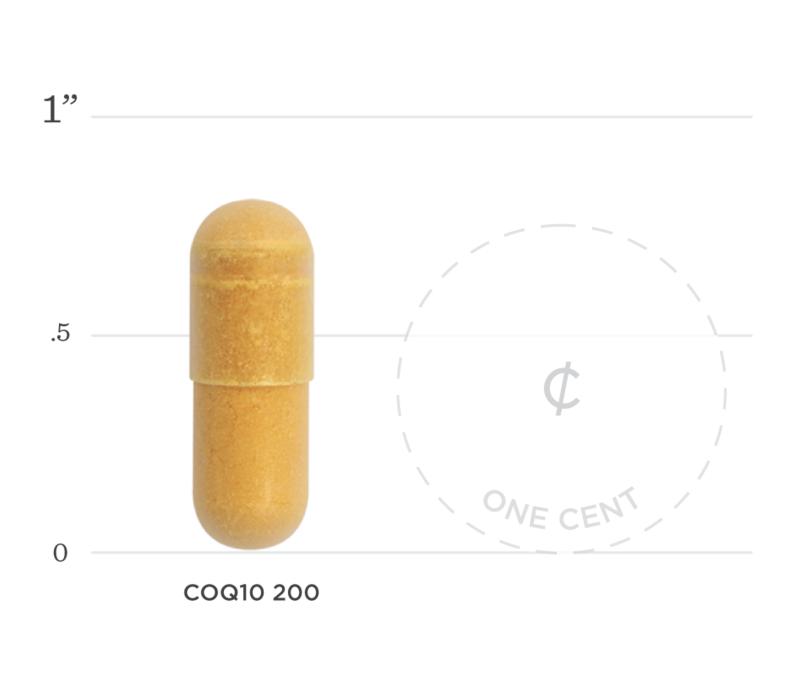 Coenzyme Q10, a cutaneous antioxidant and energizer. Biofactors. 1999;9(2-4):371-8. Below we've broken down the main functions of our CoQ10 200 and the benefits it can provide. CoQ10 is an important contributor to energy production in the body. Research states that sufficient CoQ10 supports the immune system and may help to prevent disease (1). Research shows that CoQ10 status is lower for those with cardiovascular diseases, high blood pressure, diabetes, and others. While it is not known whether low levels of CoQ10 cause these diseases or are correlated, supplementation can replenish these losses and improve heart health. The buildup of free radicals creates oxidative damage over time. CoQ10 is a powerful antioxidant found in every cell of the body and fights these free radicals while preventing further damage to cells (1).